Orchard Supply Hardware stores launched their liquidation sales Thursday as the much-beloved chain is shutting down permanently. And it’s not just loyal customers and employees who are disappointed. 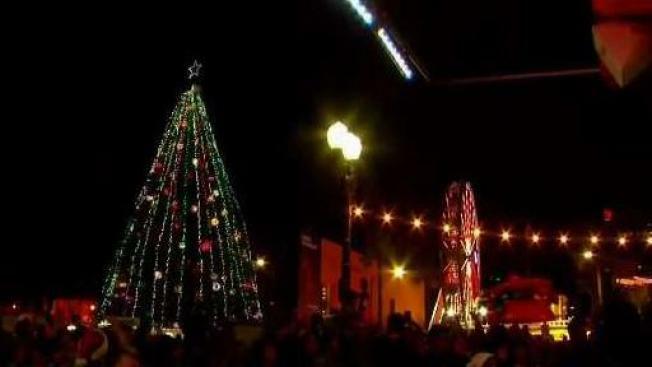 San Jose’s annual Christmas in the Park downtown display is now in jeopardy. Each year during the Christmas holiday season, Plaza de Cesar Chavez is covered with Christmas trees and other holiday decorations. OSH was a big sponsor. Thursday at OSH stores was like Christmas in August for shoppers seeking bargains as the company began liquidating merchandise at its more than 40 Bay Area stores. But lots of other people are worried about an actual Christmas tradition that could aslo go away. Orchard Supply was a longtime supporter of Christmas in the Park, donating $25,000 a year and offering a nice discount on all those Christmas trees. "So now, we just don't know where we're going to get 500 to 600 Christmas trees," said Jason Minsky, executive director of Christmas in the Park. "We could use some help." Minsky said Christmas in the Park is talking with other retail chains, including OSH's parent company Lowe's, about money and trees.